Welcome to Precision Surfaces International, Inc.
PSI supplies consumable products for achieving precision surfaces. 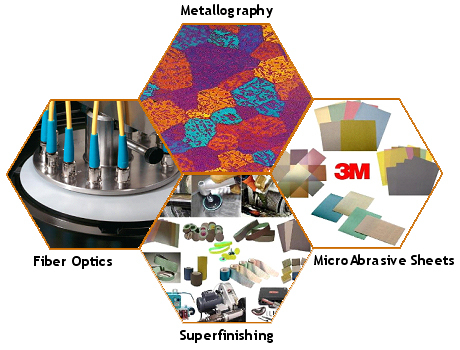 These include products for Metallography, Industrial Superfinishing, Fiber Optic Termination Polishing and 3M Microfinishing Products in Consumer Quantities. PSI Product Data Sheets are written to describe the different products available from PSI with helpful applications and how-to-use information. New customer, please register here. Please take a moment to view our Frequently Asked Questions.